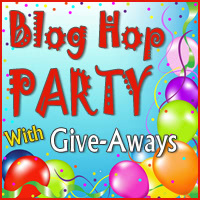 It is time to announce the winner of my Blog Hop Party Giveaway. Thank you to all that entered. I did enjoy reading all about your fabric genre preferences. As a Quilters Public Service Announcement: I want to say that I had a LARGE number of No Reply Bloggers post comments without including their email address. Unfortunately those folks weren't entered into the giveaway. Are you sure that you aren't a No Reply Blogger? It doesn't hurt to double check. Click on your Profile, click on Edit Profile and make sure that you've checked the box that says "show my email address" and then make sure you scroll all the way to the bottom of the page and click "Save Profile". I've found that many NRBs don't realize that they are and it is a shame that they don't get the chance to win too. Ok so that is my good deed for the day. Congratulations Wendy! I've sent you an email. Thanksgiving is tomorrow and I have some prep work to do. I might go out at some point this weekend and get some shopping done, but then again I might not. No matter if you are a weekend-after-Thanksgiving shopper or not, I hope you enjoy your days and savor each moment of the coming holiday season. I had a lot of of NRB's too - can lead a horse to water but can't make him drink - I make note of the fact with every give away and still , there they are. Congratulations to Wendy and thank you for hosting. Have a lovely holiday with family -- be safe. Congratulations to Wendy. Happy Thanksgiving to you and your family. Thank you for hosting the giveaway. Thank you Michele!! While I am sad for the NRBs I am thrilled to have won your generous giveaway! I wish you and all those you hold dear a wonderful Thanksgiving weekend!! Congratulations to Wendy.. Thank you for the giveaway.Have a great Thanksgiving!! Congrats Wendy! So happy for you, Have a wonderful Thanksgiving! Thank you so much Michele!! Received this beautiful book in the mail today :) Thank you, thank you!! Don't forget to stop by my blog for my "Thank You" giveaway!! !